The fastest, easiest-to-use, portable, one-man stump grinders on the market today! 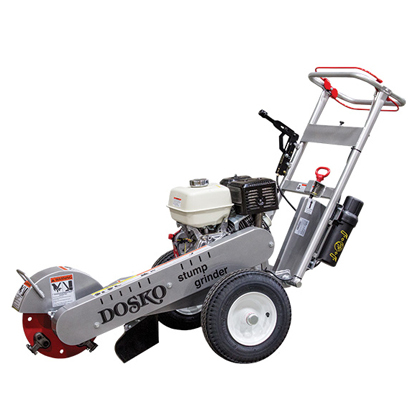 All Dosko stump grinders are designed with safety in mind. Our front-mounted cutter wheel provides maximum operator safety at all times. The five-position handlebar adjustment gives the operator a comfortable working position and at the same time complete control of the machine while grinding.